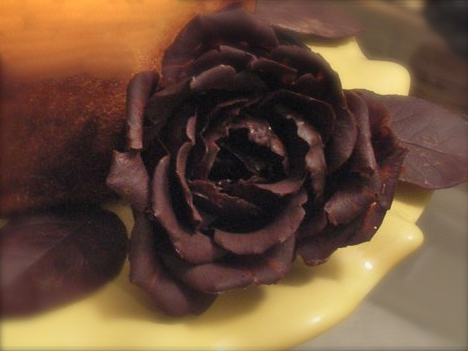 Here is a chocolate rose that is actually delicious to eat as it is made with 100% tempered chocolate. It is tricky to make as it requires a cool room and great care to keep the chocolate petals from melting but the results are well worth the effort. These excellent photos and instructions are from Hector himself. He suggested working in a very cool room, ideally a walk in refrigerator!CHOCOLATE ROSE PETALS 1- use a fresh rose that is near fully open. a closed rose bud will be near impossible to assemble. 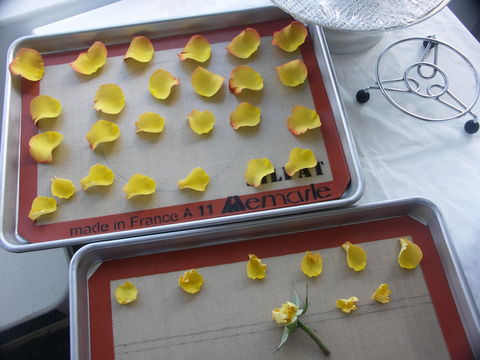 2- disassemble the rose and place the petals in gradual order on a baking sheet lined with silpat. 30 to 40 petals are needed, if the rose has more petals, discard a few petals every now and then as you disassemble the rose: don't just discard all the small petals or all the large petals because the completed rose will look unnatural. discard the very small center core rose petals growing near the pistils; these petals are ruffled and very hard to peel. 3- brush the outside of the petals with melted chocolate (never above 91˚F/32˚C to prevent the chocolate from loosing its temper). for sturdiness and easier handling, coat the petal bases thicker; the bases aren't visible when the rose is assembled. 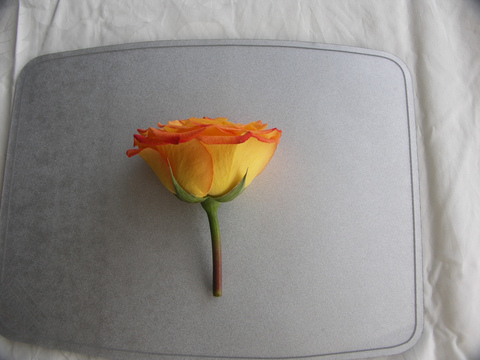 for the most natural effect, coat the petal edges thinner; the edges are visible. a few "rough/hollow" brush strokes are desirable, this gives the illusion of translucency on the completed rose. 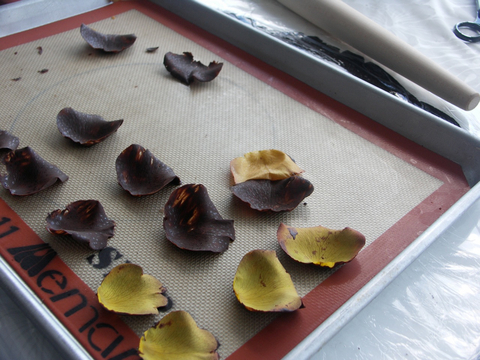 chocolate side down, place the petals on a baking sheet lined with silpat. it is perfectly fine if the chocolate sticks to the silpat, this will facilitate peeling the rose petal. also, the area that has stuck to the silpat won't be noticeable on the completed rose. freeze for 30 to 60 minutes. 4- with tweezers, peel off the rose petal from the chocolate. the rose petal will be 'fairly easy' to peel since it has been frozen and when thawing it becomes softer and wilted. to minimize breakage, have on hand a variety of tweezers: some tweezers with pointed edges, some slanted, some flat, some round! exchange tweezers as needed, to best fit the part of the rose petal that you are peeling. about 25% of the chocolate petals are discarded due to breakage. return your petals to the freezer if working in warm weather. 5- line a turntable with plastic wrap or silpat. place a 1/4 tsp of melted chocolate on the center of the turntable and attach 3 to 4 petals. start with the smaller petals. the objective is to create a rose core "glued" to the turntable and work around it. continue adding 1/4 tsp of melted chocolate on the turntable and attach the rest of the petals. 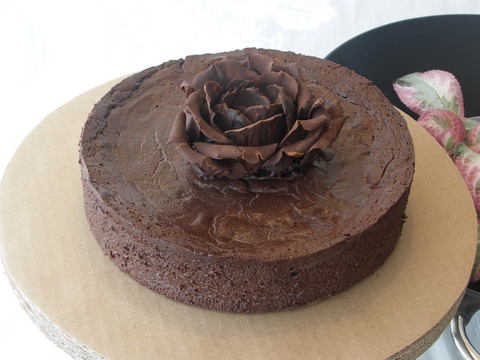 by adding chocolate on the turntable, a solid chocolate base is created which makes the completed rose easier to handle. peel the completed rose from the plastic wrap or silpat and store in a cool room. 6- to prevent melting, avoid handling the petals with your fingers or hands. 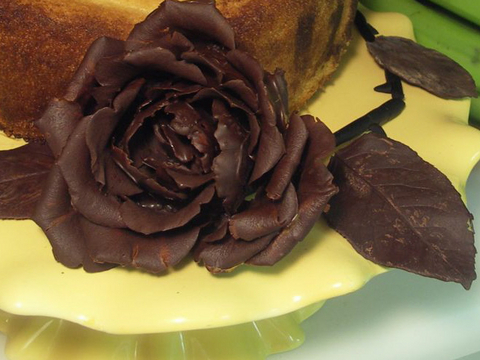 use a small icing spatula to "lift and drop" petals from the baking sheet to the rose core. use tweezers to "spin and toss" the position of the petals around the rose core. use the back of a spoon to "push and drag" the petals if they were dropped too far from the rose core. 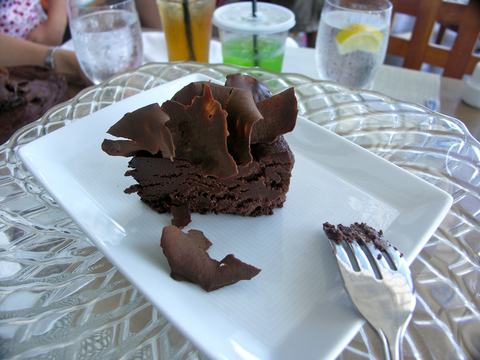 7- this is the chocolate rose decorating a Chocolate Oblivion Torte. 8- the sliced cake shows that only the petal edges are thin while the petal bases are thick!